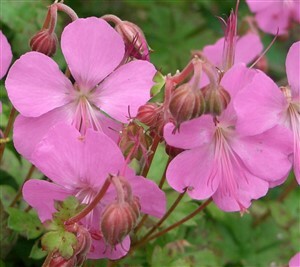 Geranium cantabrigiense 'Karmina' An excellent ground cover geranium with small, glossy, healthy leaves and rounded pink flowers in spring and early summer. Rhizomatous, reliable and hardy. Sun to near full shade.